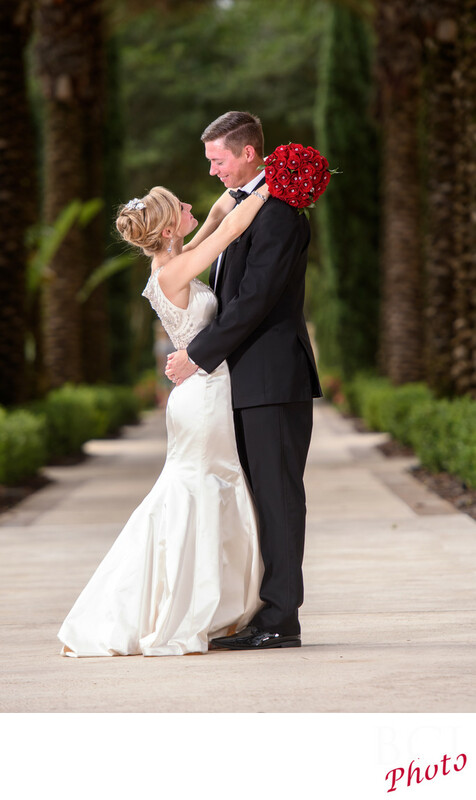 Wonderful romantic wedding portrait shown here at the four seasons disney resort. Very subtle use of off camera lights, lend just enough pop to the image so separate them from the background. Love this combination of several techniques in one shot, including the thin depth of field with the use of lighting, something very few photographers can even attempt, yet something we do weekly.